His former Democratic opponent wants the FBI to look into loans to Spano made to his campaign and personal loans the candidate received from friends around the same time. 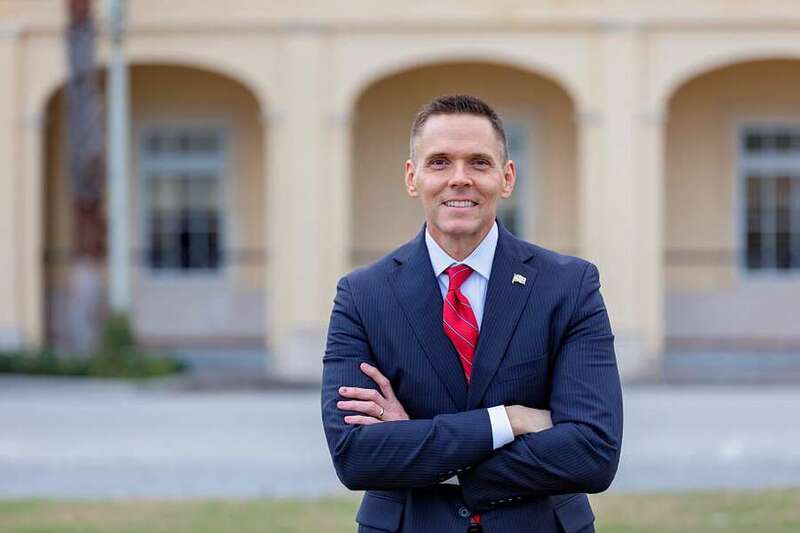 TAMPA — The Democratic candidate who lost to Republican Ross Spano for the congressional seat from District 15 said this week she has requested an FBI investigation of Spano's campaign financing. Kristen Carlson wants the agency to investigate loans Spano received from friends and loans he made to his campaign around the same time. He reported on campaign finance reports that his loans came from his own personal funds, not from others. Under federal campaign finance law, a loan made to a candidate with the intent of providing money for a campaign must be considered a campaign contribution. But the loans Spano received from friends far exceeded the legal limits on campaign contributions. Carlson said Spano's failure to file a legally required disclosure of his personal finances, which revealed the loans from his friends, suggests he sought to hide those loans. The personal financial disclosure required of all candidates was due in May, but Spano received an extension until July 17. He filed the form Nov. 3, three days before the election, after the Tampa Bay Times asked him about it Nov. 2. Carlson, a lawyer and former state prosecutor, called that "an apparent coverup … which suggests it was intentional, not just a mistake." She said authorities "should investigate for the benefit of District 15 before he's sworn and started his term — we deserve to know whether he violated the law." Spano spokeswoman Sandi Poreda responded via email this week saying, "We're currently evaluating the loans with federal campaign finance experts to determine whether there were any inadvertent issues and if so, how we can proactively address them. As soon as we're able, we'll provide an update." Carlson said she sent the letter requesting an investigation to the FBI Lakeland office Nov. 15 and hasn't heard back. FBI spokeswoman Andrea Aprea in the Tampa office said the bureau doesn't comment on investigations or tips until they result in public action such as filing a criminal complaint or executing a search warrant. In all, Spano loaned his campaign $174,500 while receiving at least three personal loans from friends totaling between $45,000 and $150,000, according to his campaign finance reports and disclosure report. The disclosure report requires only ranges, not exact amounts. The dates of three Spano loans to his campaign roughly coincided with the dates of the loans reported on his disclosure. Spano obtained the loans from two individuals, Karen Hunt and Cary Carreno, in June, August and September, according to the disclosure form, which doesn't give exact dates. He made three loans to his campaign ranging from $27,500 to $35,000 on June 30, Aug. 8 and Sept. 30. A spokesman said Hunt and Carreno were longtime friends. 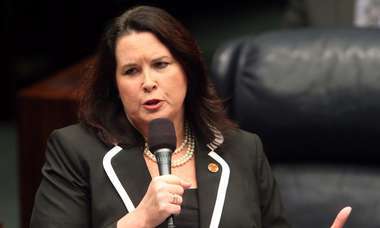 According to federal campaign records, Hunt is a retired Plant City resident and Carreno, of Valrico, is the president of an energy consulting company. They did not respond to multiple messages requesting comment. On Oct. 31, Spano loaned his campaign another $70,000. His financial disclosure form only covers through Oct. 5. The limit on contributions to a U.S. House campaign from anyone but the candidate is $2,700 each for the primary and general elections. Brett Kappel, a partner with the Akerman law firm who specializes in election and campaign finance law, said if the loans from friends assisted Spano to pay for his campaign or simply helped make ends meet while he ran, they could be "considered illegal and excessive contributions." "If the purpose of the loans was to influence the elections it would be very problematic both for the candidates and the people who made the loans," he said. The Federal Elections Commission's online handbook for candidates says if anyone, including a relative or friend, gives or loans a candidate money "for the purpose of influencing any election for Federal office," the money is "not considered personal funds of the candidate" and must be reported as a campaign contribution subject to the contribution limit. It's not clear whether the FEC has received any complaint about the matter. The House ethics committee oversees candidates' disclosures and can investigate complaints. A spokesman for the committee declined to comment. Filing a false financial disclosure statement could lead to a fine of $50,000 or up to five years in prison. District 15 covers northeastern Hillsborough, northwestern Polk and southern Lake counties.